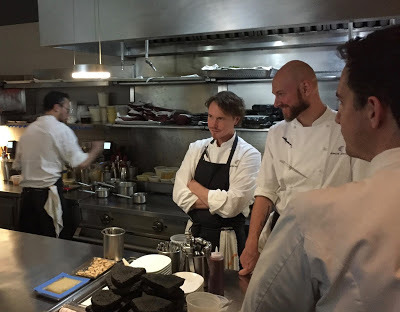 Grant Achatz, right, in the kitchen of Alinea, his world-renown Lincoln Park restaurant, where dinner can cost $420. Without wine. You know what's great about being a newspaper columnist? The pay. I'm not kidding. They just firehose money at you — well, at me anyway; others not so much — and the odd thing is, despite years of scrubbing my pits in this continual money shower, I never paused to appreciate just how bleepin' flush I truly am. The postponed home repairs and frequent breakdowns of our rusty 13-year-old van and the debt pit dug by two private college tuitions must have blinded me to my ridiculous wealth. 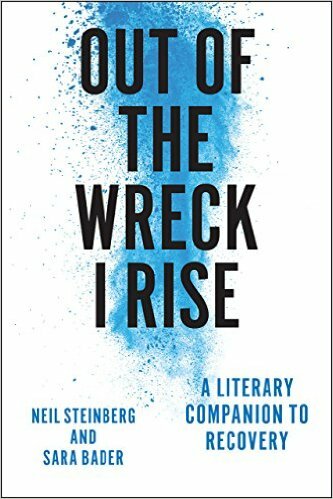 Then in April, one event utterly changed my view of myself. I am rich, Scrooge McDuck rich, upper 1 percent, baby, at least when it comes to the purchase of really, really, really expensive dinners. My family ate at Alinea Sunday night. One of the best restaurants in the world. And among the most costly. That part usually gets left out. Since any description of the actual dining experience would by necessity begin with my attempt to justify shelling out, ahh, $1,766.16 for one meal, best to get it out of the way, first, so I can relate to those curious — and really, who isn't? — what you get for that sum. Where to begin? Our two sons were born. Skip the next 20 years. They grew up, did well in high school, breezed through college, the younger finishing in three years. One graduated in May, the other graduates later this month. College graduates get a present. It's a tradition. I had ideas: Allen Edmonds shoes. Made in Wisconsin. I've been to the factory. Gorgeous. A pair of Oxford wing tips. Pricey, sure. But handy for all-important job interviews. No shoes? How about a pen? A real fountain pen? Nope. My older boy offered an idea of his own, almost jarring in its sweetness: Disneyland. He went to college outside of Los Angeles for four years, but had never been. You folks have lost your ever-lovin' minds!!! paid about that same amount for the graduation dinner party when my youngest and oldest graduated the same year. but 22 people ate at Italian village. same place my folks took me when I graduated, high school. I doubt I would make that choice, but I'm sure we've all spent that much, if not all at once, on things that we would kick ourselves for now. And hopefully it was an experience you'll look back on fondly (reverently?) for the rest of your life! Congrats on the lads' grads, BTW. In general, my attitude is that if I want pretty food, I'll buy a painting, but I have to say that my experiences with pricey restaurants (funded by my daughter when she was getting those insane Wall Street bonuses) has been positive. Charlie Trotter's portions were minuscule, but tasty and to my great surprise filling. I was satisfied as was my wife, who sought out the great chef to compliment him, which he accepted with what I perceived to be a wry smirk. Waiting with bated breath to hear Neil's description of the $1700 dinner. Ever get the feeling that your boys will be tremendously successful? Better to spend an outrageous sum for an excellent meal in a comfortable setting than to get into Disney for free, fight the crowds, sweat buckets, then barely make it back to the hotel before collapsing. Of course, meatloaf at Kilcoynes on a monday is the best option among the three.